It would be a voluminous task to present the entire chronicle of the Path [Tariqa], with its rich heritage of celebrated Spiritual Teachers[Sufi Shuyukh] and the undeniable epiphanies of the Disciples [Fuqara] and the masters alike. However, what follows are a glimpse into the life of an extraordinary teacher, and the history of those who immediately preceded him. 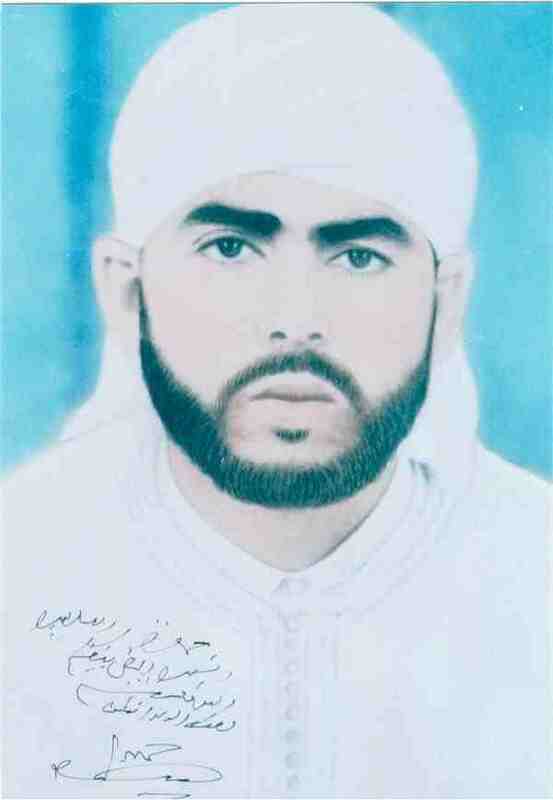 Sidi Jamal is the eldest son of Sidi Hamza bin Al-Hajj Al-Abbas bin Al-Mukhtar Al-Qadiri Al-Boutchichi. 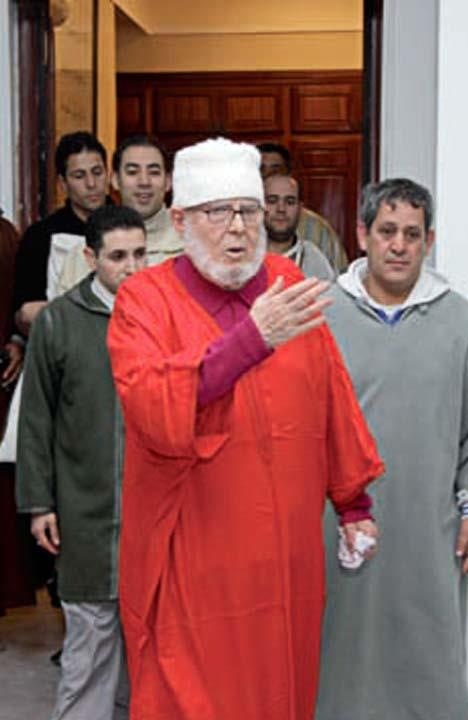 After the sad passing of Sidi Hamza in January 2017, Sidi Jamal became the sole master of the Boutchichi Tariqa, in accordance with the spiritual counsel of Sidi Hamza, which was documented in 1990, and reaffirmed verbally numerous times. 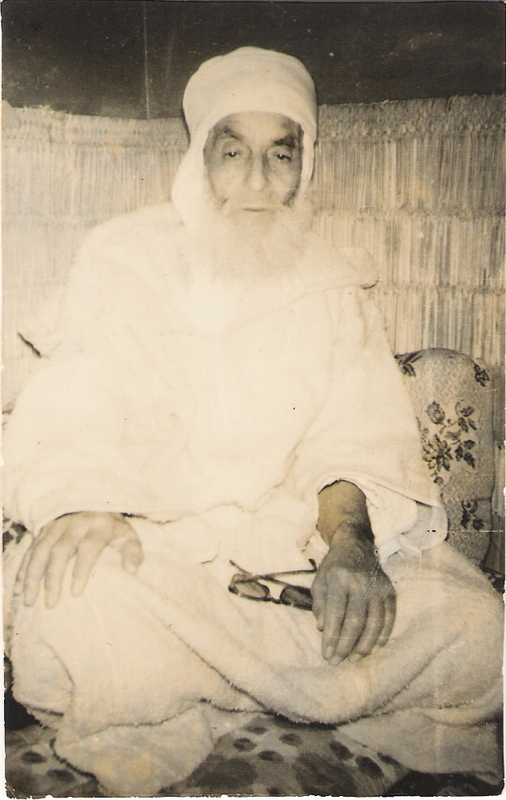 Sayyedi Abu Jamal Hamza bin Al-Hajj Al-Abbas bin Al-Mukhtar Al-Qadiri Al-Boutchichi was born in the year 1922 [1341 Hijri] in the village of Madagh in Northeast Morocco. Although his childhood was spent between activities on the land and on studying religion, he showed signs of spiritual status very early in his life. He pursued his studies along the lines of the traditional education of the time. This included studying and memorising the Quran (from the age of 3/4 to 8/9) and then the religious sciences [mutun] , grammar [nahu] jurisprudence [fiqh] for a further 6 years. 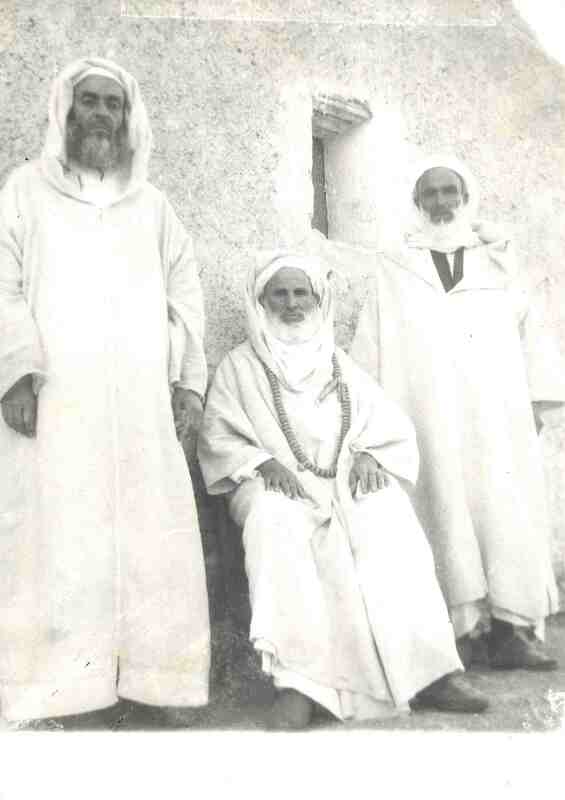 After the death of his uncle and teacher, Sidi Al-Mekki in 1936, Sidi Hamza went to Oujda to continue his studies at the university (1937-1940). Here he followed the syllabus of the famous Qarawiyyeen University (in Fez) and was taught by the most outstanding scholars [‘ulema] of the time including the trustee of the religious endowment [waqf]. He returned to Madagh, where for a further two years he deepened his knowledge in the company of two religious scholars [‘ulema] from the city of Fes. He studied the classical sciences of the Traditions [Hadith], the Prophetic biography [seerah] expounding of the Quran [tafsir], theology, mathematics, rhetoric and logic, in all of which he excelled and mastered. After many years devoted to the study of the religious sciences, Sidi Hamza then turned his attention to the esoteric sciences at the hand of Sidi Abu Madyan, a distant uncle, who became his spiritual master, but who was hitherto little known to him. Thus in 1942 Sidi Hamza and his father, Sidi Al-Haj Al-Abbas, began the journey on the Path of spiritual education and realisation, under the Sidi Abu Madyan Ibn Lamnawwar al-Qadiri Al-Boutchichi, may Allah sanctify his secret. In the course of fourteen years in the company of their spiritual master, Sidi Hamza and Sidi Al-Haj Al-Abbas took note of everything the master said and of every detail of his comportment and actions. “During the fourteen years we spent near to our master we assiduously followed our devotions which consisted mainly of the reading of the Quran and to remembering God [Thikr]. I loved him dearly and greatly admired the simple majesty of his manners and of his words,” notes Sidi Hamza. Amongst Sidi Abu Madyan’s own teachers had been Sidi Al-Mahdi Bel’arryan and Sidi Mohammed Lahlu al-Fasi, may Allah sanctify their secret. Sidi Bel’arryan was of Tijanni heritage , and through his company and recitation of litanies Sidi Abu Madyan achieved great spiritual openings. 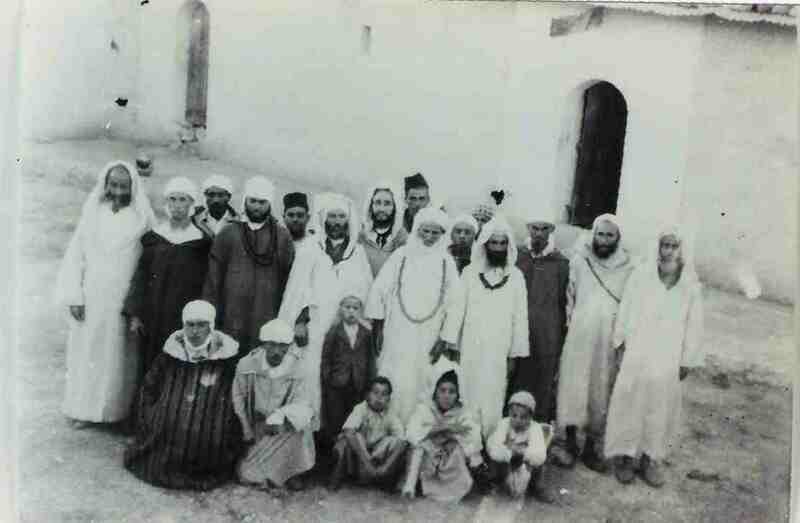 He then went to Fez, where he spent extensive time with Sidi Mohammed Lahlu, a Shaykh only four teachers down the Silsila [ initiatory chain] from Shaykh Sidi Moulay Al-‘Arbi Addarqawi (see image below). On his return to Madagh, Sidi Abu Madyan also visited, took Thikr from, and corresponded extensively with Shaykh Al-Alawi, widely considered to be the “father” of many Western European Sufi movements. In fact Sidi Hamza had also received indications that he too would eventually have the Idhn. Sidi Abu Madyan had said, whilst looking over Madagh’s fields “In Hamza’s time, all these stoney/harsh fields will not be enough for his fuqara” (A visit to Madagh during Mawlid or Ramadan will ascertain to this fact!). When Sidi Al-Haj Al-Abbas died in 1972 he bequeathed all his spiritual authority to Sidi Hamza and exhorted his disciples (fuqara) to follow him. 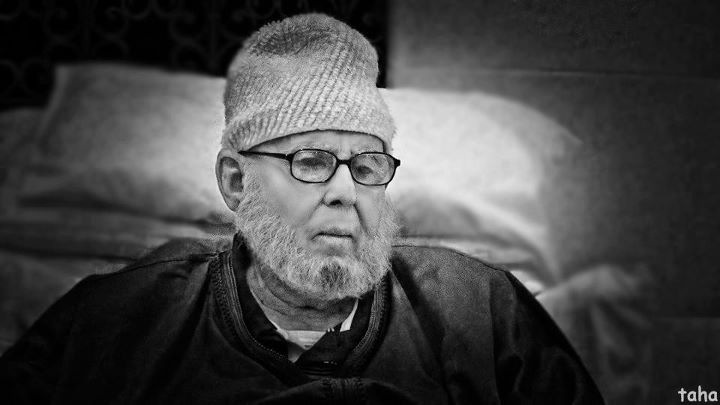 Sidi Hamza continued the work of his father towards a renewal of Sufism. This renewal process is derived from a more subtle spiritual orientation than that of traditional Sufism known for its rigorous practices and disciplines. This is epitomised by the transition from the majestic (Jalal) aspect to the beautiful (Jamal) aspect of spiritual orientation and practice. The result is the widespread growth of the Tariqa beyond the hundreds of thousands of disciples in Morocco, to Muslim and ethnic convert communities across Western Europe, Great Britain, the USA, West Africa, the Middle East, Thailand and beyond. Although his blessed chain is officially documented, going back all the way to the Prophet Mohammed s, Sidi Hamza has obtained his spiritual inheritance not through blood relations, but by his own determination and continuous commitment on the path of Allah. “Nothing endears My servant to Me than doing of what I have made obligatory upon him to do. And My servant continues to draw nearer to Me with supererogatory worship so that I shall love him. When I love him, I shall be his hearing with which he shall hear, his sight with which he shall see, his hands with which he shall hold, and his feet with which he shall walks”. Achieving the state of the spiritual master therefore, is to achieve ultimate divine guidance in being and acting – which is referred to as the Sirr.